One of the most important pieces of sport legislation is FIFA's Regulations on the Status and Transfer of Players (RSTP). The regulations establish rules in relation to the international transfer of players, the status of players, their eligibility to participate in organised football, as well as the release of players for association teams and the players' eligibility to play for those teams. Notwithstanding that, the rules are also relevant with regards to domestic transfers, between two clubs within the same association, as although the domestic association provides their own rules, those rules must take into account binding provisions of RSTP and FIFA's principles. For the purposes of this post, the writer will focus on the history of the regulations concerning the international transfer of players - that is the transfer of players between two clubs that are members of different associations - and the landmark case law that transformed those rules. FIFA introduced its first transfer regulations in April 1991 and by 1994, the re-named 'Regulations on the Status and Transfer of Players' applied to all participants in international football. The Regulations stated that a football player was only free to move to another club if his employment contract with his current club had expired or was due to do so within the coming six months. The rules also allowed for transfer compensation to be paid to the selling club, despite the fact that the contract had expired. During this period, FIFA was the only international football body able to establish rules and give decisions in relation to the transfer of players. The governing body enjoyed an exclusive position of power and did not have to take any other organisation into account, when making decisions. This came to an end, however, when the judgement in the landmark case of Bosman was given by the Court of Justice of the European Union (CJEU), in December 1995. Following the judgement, the European Commission held that FIFA's 1994 Regulations would have to be amended as their current format infringed EU and national law. 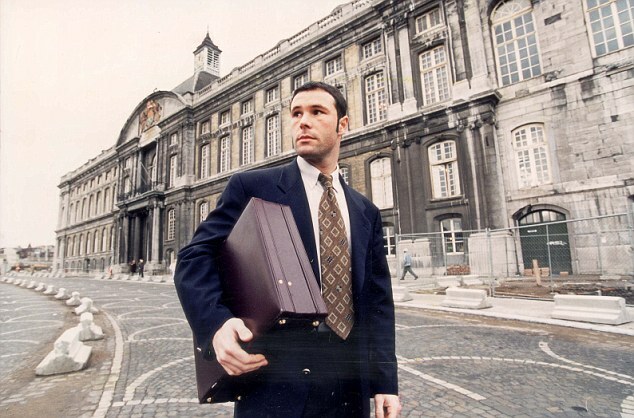 The Bosman case had a huge impact on the footballing world and remains the most significant legal case in modern football. Bosman was employed as a professional footballer by RC Liege who, in 1990, offered him a new one year contract. That offer was rejected by Bosman and as a result he was put on the transfer list at a staggering fee of BFr11,743,000. The fee was justified by the RBFA as being compensation for the training provided to the player, a figure which was calculated based on Bosman's previous year's salary and in accordance with the transfer regulations. The fee was so large that no club was prepared to pay it but Bosman was able to negotiate a move to US Dunkerque. Thereafter, Dunkerque had the option to secure a permanent transfer by paying an additional BFr 4.8m to Liege, however, Liege failed to request the necessary international clearance certificate, as a result of concerns about Dunkerque's solvency, and thus the contracts lapsed which left Bosman unemployed. Bosman sued Liege and the RBFA citing that the transfer system, as operated in Belgium and sanctioned by UEFA, was in breach of Art. 45 as it restricted him from being able to take up employment in another member state. Further, he also argued that UEFA's '3+2' Rule was also in breach of Art. 45. That rule had been introduced while the Bosman litigation was underway and prevented a club from fielding more than 3 players who were eligible to play international football for a national association other than the one in which their club was based. Bosman argued that this rule effectively limited the number of non-Belgium clubs that he could join as many would have already reached their foreign quota and therefore be unable to employ him. This, therefore, restricted his ability to work freely throughout the EU which was in breach of Art. 45. The Court held that the demanding of a transfer fee by a former employer, after a fixed term contract had come to an end, was an obstacle to the freedom of movement for workers as it hindered and potentially prevented a footballer's ability to move to a new club. The rules were thus unlawful unless it could be proven that they were necessary and proportionate to achieve a legitimate outcome. 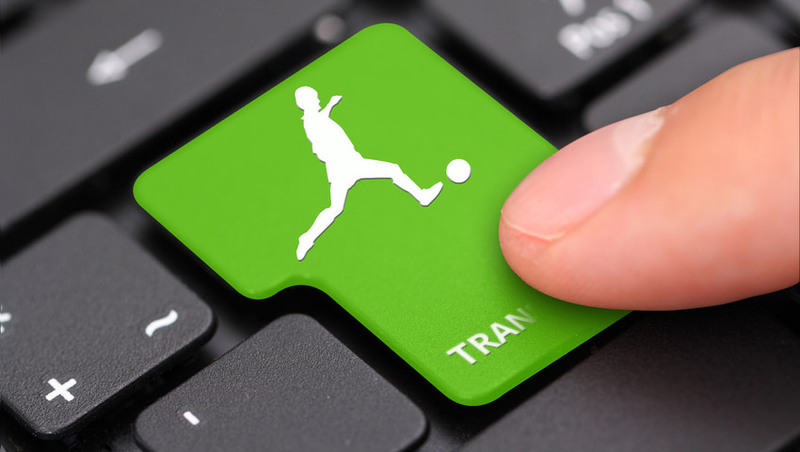 The rules helped to maintain financial and sporting equilibrium among clubs - This was accepted by the CJEU as a legitimate aim but the Court did not consider that the transfer system was a suitable means to go about achieving that aim. The Court was of the view that the system did not prevent the richest of clubs securing the services of the best players nor could it restrict their commercial activities to the extent that it created a financial level playing field. The transfer fees took into account compensation for the costs incurred by a club in training the player - Again the CJEU accepted that this was a legitimate aim but there was no relationship between the compensation fee calculated and the actual outlays incurred in training the player. The Court referred to the fact that the compensation calculated was based on the player's previous salary and not the costs incurred by the club in training him. As a result, the Court held that a rule that imposes a transfer, training or development fee to allow an out-of-contract player to move to a new club is prohibited by Art. 45 as it is working directly against the freedom of movement of workers. As a result of the Bosman case, the CJEU found FIFA's transfer system to be incompatible with EU law. The CJEU stressed that sport, just like any other economic activity, is subject to the rules of EU law and football associations are obliged to comply with fundamental principles of EU law such as the freedom of movement of workers, within Europe. It is as a result of this ruling that transfer fees can no longer be charged for out-of-contract players. Following the CJEU decision, football clubs, around the world, responded with panic at the thought of their players being able to reach the end of their contracts and then leaving for free. This resulted in clubs negotiating contracts for longer periods and drafting clauses to allow them to secure compensation for their loss but also to unilaterally reserve the right to extend any agreements, if they so wished. Further, clubs also responded to the ruling by asking for significant transfer fees in the event that a player wanted to leave prior to his contract expiring. This turn of events created a situation which we are all familiar with today whereby the larger clubs attract the top talent and the smaller clubs struggle financially. FIFA was forced to find a solution to the problem that had arisen and revise its rules that had been seriously affected, following Bosman. The goal was to bring the Regulations into line with EU law. FIFA began drafting new Regulations to replace the existing 1994 Regulations on the Status and Transfer of Players (RSTP). The new version was sent the European Commission (EC) in 1997 but those were rejected by the EC as it had serious concerns in relation to the Regulations allowing the transfer of players under the age of 18 and the fact that there was no right to seek redress from the civil courts. Given this, FIFA began to work in partnership with the EC in order to gain a better understanding of what they needed to do to bring the Regulations into line with EU law. The EC advised that the Regulations were free to contain provisions regarding the transfer of players, contractual stability and training compensation for players but they must comply fully with EU regulations. The Regulations could not prevent parties from seeking redress from the civil courts and they could not ignore national laws of the countries concerned. Following discussions and various amendments, the new approved Regulations came into force on 01 September 2001. Introduced provisions that regulated compensation to be paid by clubs for the training and education of young players. FIFA's RSTP are amended regularly, to take into account current market issues, and there have been various editions released since the 2001 Edition. Revised to take into account a more "user-friendly structure"
Article 18bis implemented - No club shall enter into a contract which enables another party to that contract or any third party to acquire the ability to influence employment and transfer related matters, its independence, its policies or the performance of its teams - FIFA Disciplinary Committee is given power to impose disciplinary measures on clubs that do not observe the obligations set out in said Article. Sub-Committee of Players's Status Committee appointed and charged with examination and approal of every international transfer of minors, and every first registration of a minor player who is not a national of the country in which he wishes to be registered for the first time. New Annex 2 regulating administrative procedure governing the applications for a first registration and the international transfer of minors. Slight changes to calculation of training compensation with implementation of an 'exception to the exception' rule. The 'exception to the exception' rule, that was implemented in relation to training compensation in the 2009 edition, is removed. Amendments are made concerning the transfer of minors and reducing the age limit, for which an ITC is required, up to the age of 10. Bernard was a young football player who played for Olympique Lyonnais "espoirs" team and was offered a one year professional contract. Bernard refused the contract and concluded a contract of the same terms with Newcastle United. This move was in direct contrast to the terms of the Charter for "jouers espoirs", applicable in France, and which states that Bernard was required to sign his first professional contract with the club that had trained him. Failure to do so, will result in compensation being owed to the training club. As a result Olympique commenced legal proceedings against Bernard and Newcastle United, seeking an award of damages equivalent to the remuneration that the player would have received over one year, had he signed the contract proposed to him by Olympique €53,357.16. The case was heard at an Employment Tribunal in Lyon and that came to the decision that Bernard had unilaterally terminated his contract and ordered Bernard and Newcastle United jointly to pay Olympique €22,867.35. This was appealed and the Cour d'Appel in Lyon came to the view that the obligation on a player at the end of his training , to sign a professional contract with a club that had provided the training, and that also prohibited the player from signing such a contract with a club in another member state of the EU, was an infringement of the freedom of movement of workers, a fundamental EU principle. Not happy with the decision, Olympique appealed to The Court of Cassation, the final Court of Appeal in France. The Court referred questions to the CJEU on the extent of the principle of freedom of movement for workers and the possible restrictions which national provisions can impose in circumstances like Bernard. The CJEU held that the Charter, although it was a restriction on free movement, it was justified because it encouraged clubs to train young players and this was a legitimate aim. However, the Court did state that a rule may infringe freedom of movement if "they preclude or deter a national of one Member State from exercising his right to freedom of movement in another Member State, even if they apply without regard to the nationality of the workers concerned, unless the potential impediment to the exercise of free movement is too uncertain and indirect." In the Bernard case, the CJEU recognised that the sum Olympique Lyonnais was seeking did not reflect the costs of training but was instead related to damages for the loss suffered. The CJEU stated that the compensation provided for must be calculated on the actual costs borne by the club in the training of the player. Payment of damages which are calculated not in relation to actual costs but instead reflect the total loss suffered by the club, go beyond what is necessary to encourage the recruitment and training of young players and cannot therefore be justified. As you can see, the Bernard case is important because it establishes that although the charter restricted freedom of movement, it had a legitimate aim for doing so, and was therefore allowed. However, The CJEU put a stop to clubs calculating disproportionate sums as training compensation and clubs now have to reflect the actual costs only. Sergio Sagarzazu, has dual nationality as both Italian and Argentinian. He was registered as an amateur player with Argentinian clubs Excursionistas and River Plate. 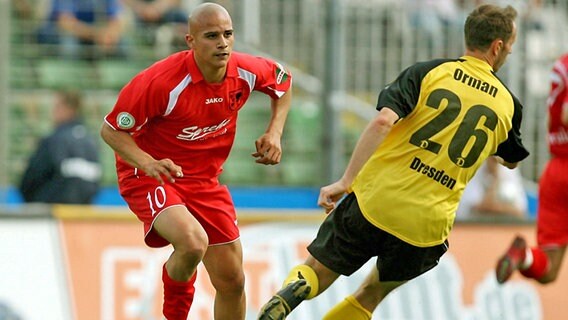 The player, thereafter, transferred to the German professional football club, SV Wilhelmshaven, where he signed his first professional contract from 08 February 2007 to 30 June 2007. The contract was then extended for another season. Both Excursionistas and River Plate claimed they were entitled to receive training compensation but this was rejected by SV Wilhelmshaven. As a result both Argentinian clubs submitted claims to FIFA's DRC. on 05 December 2008, the DRC ordered SV Wilhemshaven to pay Excursionistas €100,000 and River €57,500, in training compensation. The German club disagreed with the decision and submitted a claim to the Court of Arbitration for Sport (CAS). The CAS gave its decision on 05 October 2009 confirming the decision of FIFA's DRC and rejected the objections raised by SV Wilhelmshaven. SV Wilhemshaven still refused to pay the compensation now ordered by both FIFA and the CAS. As a result, the FIFA Disciplinary Committee sanctioned SV Wilhelmshaven with additional fines, stating that if they were not paid within 30 days, the German club would face a deduction of 6 points. The club still refused to pay and the 6 point deduction was imposed. Thereafter, the club still refused to pay the fines and training compensation, and a further 6 points was deducted. The club was also relegated by the domestic association following a FIFA order. In May 2013, SV Wilhemshaven began legal proceedings to challenge the decision in the German courts. The initial case was heard before the Landgericht Bremen, however, the court rejected the claims of the club who then appealed before the Highest Regional Court, who held that the CAS award was contradictory to EU law. SV Wilhemshaven's arguments was that FIFA RSTP was contradictory to EU law and in particular, the free movement of workers. Sagarzazu also had Italian nationality and as a result, the German club was of the opinion that the Argentinian clubs were obliged to offer him a contract (in accordance with Article 6, para 3 of Annex 4 RSTP). As they failed to do so, the club was of the opinion that the Argentinian clubs were not entitled to training compensation. The CAS arbitrator considered that Article 6 of Annex 4 RSTP only applied when the transfer occurs within the EU/EEA territory. Thus, given that Argentina is not within the EU, the CAS arbitrator was of the opinion that the provision did not apply where the player moves from a country outside the EU/EEA to a country within the EU/EEA, regardless of their nationality. The Highest Regional Court did not agree with the CAS sole arbitrator's opinion and considered that Article 6 of Annex 4 should apply to persons with EU nationality moving from a non-EU country to an EU country. As far as it was concerned, if that was not the case, then FIFA's system of training compensation was contradictory to EU law, when it concerned an EU nationality transferring from a non-EU club to an EU club. The case was then appealed again to the highest German civil court, the Bundesgerichtshof (BGH) who, in September 2016, upheld the Regional Court's opinion, ruling in favour of SV Wilhelmshaven. The Court also held that the Northern German Football Federation's (NGFF) statutes were not adequately clear to allow it to implement the forced relegation, as ordered by FIFA. The statutes also failed to sufficiently provide provisions as to what level of sanctions a club would face if they failed to pay training compensation. This meant that the German club was not in a position to weigh up the risks involved in failing to pay the training compensation. This latest decision was only made in September 2016 and the effect it will have on domestic associations and FIFA, remains to be seen. However, it is likely that associations will have to go back to the drawing board and amend their statutes with FIFA also taking another look at the RSTP, and in particular the implications for training compensation when an EU nationality player transfers from a non-EU club to an EU club. Phillipe Mexes is a French player who, at the age of 15, joined French club Auxerre. On 13 May 1998, Mexes signed a youth contract with Auxerre for a contractual period of five years. On 20 June 2000, Mexes replaced the current contract by signing a professional football player's contract, again for a contractual period of five years. On 15 December 2002, Auxerre and Mexes agreed to extend the contract by one year, Mexes salary was improved and the Club agreed to pay Mexes a transfer bonus, if he moved to another club. The latter provision was crucial to the dispute that arose, thereafter, between both parties. During the course of his contract, Mexes asked the club what transfer they would demand if the contract was terminated by mutual agreement. The club did not provide Mexes with a figure and instead, reminded him that he was under contract with the club until 30 June 2006 and they would expect him to satisfy that contractual obligation. On 24 May 2004, AS Roma advised Auxerre that they were interested in signing Mexes and intended to make an offer. On 04 June 2004, AS Roma made an offer, to Auxerre, of €4,500,000 to secure the Mexes' services. This offer was rejected by Auxerre who advised AS Roma that the sum was considerably lower than their valuation of Mexes. They added that the player would remain under contract with them until 30 June 2006. On 11 June 2004, Mexes made an appeal to FIFA requesting to be released from his contract on the basis of Article 42 of the FIFA RSTP. Less than 24 hours later, AS Roma and Mexes signed a four year contract commencing from the 2004/05 season. Auxerre demanded that Mexes attend for training but despite those demands, Mexes failed to show and continued with his plans to continue the next stage of his career with AS Roma. Auxerre filed a complaint to the FIFA DRC in relation to breach of contract. The DRC upheld the breach of contract complaint and held that Mexes would not be eligible to play for Roma for 6 weeks after the commencement of the Italian Championship. They also imposed monetary sanctions on Mexes and he was ordered to pay Auxerre €8,000,000. The sum was calculated taking into account the higher salary that Mexes would be receiving at AS Roma and that he had received 7 years of training, at Auxerre, a club of which had an excellent reputation for training players. Further to that, the sum also took into account the remaining years that Mexes had left on his contract. The DRC found AS Roma guilty of inducing the player to breach his contract and thus they were held to be jointly and severally liable for the compensation owed to Auxerre. In a separate hearing, AS Roma was also sanctioned with a transfer ban over two registration periods, for the charge of inducing Mexes to breach his contract. All parties were unhappy with the decision: (1) Auxerre believed Mexes valuation to be closer to €18,000,000 whilst (2) AS Roma and Mexes were unhappy with the level of compensation they would have to pay and the length of sporting sanction received. The parties appealed to the Court of Arbitration for Sport. The CAS required to rule on whether or not Mexes had in fact breached his contract within the "protected period" as it was necessary to determine if sporting sanctions should apply and what level of compensation was due. The protected period is "a period of three entire seasons or three years, whichever comes first, following the entry into force of a contract, where such contract is concluded prior to the 28th birthday of the professional, or two entire seasons or two years, whichever comes first, following the entry into force of a contract, where such contract is concluded after the 28th birthday of the professional." The CAS was of the opinion that the protected period had been re-set at the point that Mexes agreed an extension of his playing contract. He had, thus, brought the timing of his breach of contract within the 3-year protected period and as such, the CAS was obliged to impose a sporting sanction on the player and AS Roma. The 2001 Regulations (that applied at the time of the breach) did not specifically state that the protected period would re-start, in the event that a contract is renewed. However, the panel had to find the ratio legis for the rules which governed the relationship between Mexes and Auxerre. The CAS panel had to consider the intention of FIFA and contractual stability. It referred to both the 2001 Regulations and the 2005 Regulations, in determining FIFA's intentions. The DRC had determined that the player's signature of an extension agreement to their previous contract would re-start the protected period even though this was not provided for in the 2001 Regulations, and it had to be amended in the 2005 Regulations. FIFA's regulations state that Mexes should have been banned from playing for a four month period and the buying club, AS Roma, should receive a ban from registering players for 2 transfer periods. Despite this, the CAS departed from the regulations and upheld the original six week playing sanction on Mexes, citing the "exceptional circumstances of the case" under Article 23 of the 2001 Regulations. The CAS stated that Auxerre had no interest in the length of playing ban imposed on Mexes, as he was no longer a part of the team and there was a lack of any further legitimate submissions to persuade the panel to impose a lengthier ban. The "exceptional circumstances" that permitted the CAS panel to reduce the usual sanction, was removed in the 2005 Regulations. The main concern for the CAS panel in relation to the level of compensation owed to Auxerre was the fact that the DRC had given no indication as to their method of calculation in determining that Auxerre was owed €8,000,000. The panel first looked into the investment that Auxerre had made on Mexes. He had originally signed a five year contract from 2000-2005 but in 2002, signed an extension until the end of 2005/06 season. The extension was viewed as a new four year contract from 2002 - 2006. The panel considered the difference between Mexes old salary and the new salary, that was coming into play from the date that the extension was signed, until the date in which the contract was terminated in 2004. The panel also took into account the bonus that was paid to Mexes when he signed the extension agreement and the fee paid to his agent, at that time. The effective costs were, thus, calculated by the panel at €2,289,644. Further to that, the panel then had to take into account the future earnings for the transfer of Mexes that Auxerre lost, due to his breach of contract. The panel, therefore, turned to the only offer on the table, which was from AS Roma, and at the level of €4,500,000. The offer in this case is an important issue as it is used in subsequent breach of contract cases, for determining compensation. In their submissions to the panel, Auxerre made several comparisons between Mexes and other professionals who had been acquired or transferred by Roma as well as comparisons between Mexes and other professionals who had been acquired by different club's in several positions. The club was, thus, attempting to establish that Mexes was a very valuable asset and in the event that the club were to transfer him, he would merit a fee comparable to other professionals that were mentioned in their submissions. The fees cited by Auxerre ranged from €11.5m to €37.5m. The CAS panel was of the opinion that Auxerre failed to prove its commercial and sporting damages. It also considered that Auxerre had obstructed Mexes' possibilities to obtain a transfer by refusing to enter into any transfer negotiations with him. The Panel was also of the opinion, however, that AS Roma's offer did not reflect the true value of the player, and that the offer's sole purpose was to induce the termination of Mexes' contract with Auxerre. The CAS concluded that the compensation to Auxerre would be set at €7,000,000 (€1m less than that imposed by FIFA DRC). That figure comprised of €2,289,644 (costs incurred by Auxerre), €4,500,000 (AS Roma's offer), plus other criteria taken into account by the panel and rounded to €7,000,000. The CAS panel determined that, when taking everything into account, AS Roma would receive a transfer ban of one registration period (reducing the ban from from the previous two that FIFA DRC had imposed). Roma had asked for a stay of execution in July 2005 but this was rejected. They asked for another stay, in August 2005, arguing that given that they had received notice from FIFA of the transfer ban on 30 June 2005 but had already signed a number of players that month. Those players were unable to be registered because of the ban. The panel decided that because of those facts, the stay should be granted. This allowed Roma to register the players signed in June but also those up to the end of the transfer window. There was then a dispute over whether the overall sanction should be reduced to just the one window as they did not have a free month in July 2005 because the original request for a stay had been rejected. The CAS panel accepted this argument and held that July and the first week or so in August would be considered as punishment already served. This was despite the fact that players were being signed in the prior month and during the remainder of August. This was, thus, a victory for AS Roma. Art. 14 of the FIFA Regulations for the Status and Transfer of Players allow players to unilaterally terminate their contract of employment where there is 'just cause' (a reasonable reason for doing so). There is no standard definition to what constitutes 'just cause' and each case will be assessed on its own merits. Failure to terminate a contract with 'just cause' carries significant penalties with sanctions found under Art. 17 of the FIFA Regulations for the Status and Transfer of Players, which provide for compensation payable to the original employing club where a player breaches their contract without 'just cause', in order to join a new club. The rules also state that any player who signed a contract before the age of 28 can buy himself out of the contract three years after the deal was signed. If he is 28 or older, the time limit is shortened to two years. The Webster case was based around Articles 14 and 17 and their correct interpretation along with the appropriate approach in determining compensation under Art. 17. 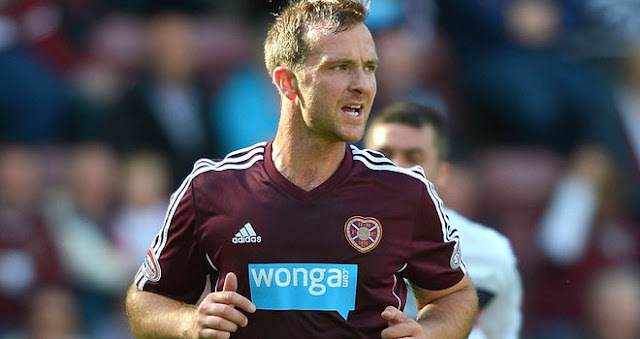 The case concerned Andy Webster, a Heart of Midlothian (Hearts) player, who was under a four year contract with the club, which commenced shortly before his 19th birthday in March 2001. In January 2006, Hearts entered into negotiations with Webster to keep him at the club long-term. Negotiations broke down and there was a dispute with Vladmir Romanov, the majority shareholder of the club. In May 2006, Webster gave notice to Hearts that he was unilaterally terminating his contract on the basis of Article 14 of the FIFA Regulations. Following the termination, Webster signed a new contract with Wigan Athletic. However, Hearts refused to accept the termination and thus refused to co-operate with the transfer to Wigan Athletic. Webster's termination occurred outside the protected period as Webster had served more than three years of his contract. However, The FIFA DRC held that Webster had breached his contract (on a technicality) and awarded the club £625,000 compensation. This calculation was based on Webster's basic salary, appearance bonuses, former transfer compensation as well as the five years that Webster had spent with the club. Both parties appealed to the Court of Arbitration for Sport (CAS). The CAS ruled that Art. 17 did not allow a club or player to unilaterally terminate an employment contract without just cause, even if it fell out-with the protected period. 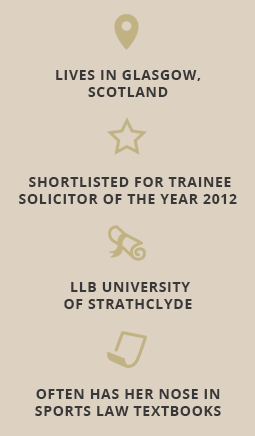 As a result, the Court ruled that Hearts were owed compensation. Hearts claimed the market value of Webster was £4m and they should thus receive a similar sum as compensation for lost profit. However, the CAS panel was unequivocal in stating that there was no economic, moral or legal justification for a club to be able to claim the market value of a player as lost profit. The panel also found that Hearts claim of £330,524 based on the difference between the value of the old and new contract was not a suitable way of calculating compensation for breaches of contract that occur outside the protected period. The CAS panel considered that the most appropriate way of calculating such compensation was to determine the remuneration remaining due to the player under the employment contract upon its date of termination (the residual value of the contract). 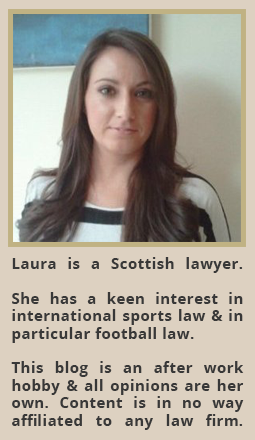 The panel thus held that the amount of compensation due to Hearts was the sum of £150,000. This was to be paid by Webster and Wigan Athletic, jointly and severally. Why did the CAS not take into account potential transfer fee, like in Mexes? Heart of Midlothian did not receive the offer from Wigan until after Webster had breached his contract. This effectively meant that the Scottish club was not suffering any damage because the player and the club no longer had any contractual ties. The club could not accept the offer, therefore it is a fee that they could never have earned, in the circumstances. In Mexes' case, the offer was received whilst he was still under contract with Auxerre and was, thus, still an asset to the club. Therefore, the CAS panel determined the offer loss as a legitimate loss. The pattern of the offer, and the renewal of the contract with a clause allowing the player to benefit from a portion of any future transfer fee, demonstrated that Auxerre had the intention to sell the player, at one point, and also that other clubs had the will to buy Mexes. No offers had been received for Webster leading up to his breach of contract, therefore the panel concluded that the club would would not be able to earn any money from the player, but for the breach of contract. The Webster case unsurprisingly drew mixed reactions depending on what side of the fence you are on. FIFA were critical of the decision with former President, Sepp Blatter, stating that it would be generally damaging to the game. Football clubs and domestic associations were also dismayed by the CAS decision as it gave rise to the possibility that players were free to terminate their contracts, after the protected period had expired, by only paying the remaining value as compensation. Players' unions, however, were supportive of the decision stating that it gave players the same employee rights that any other worker would expect to find and awarded a greater freedom of employment. 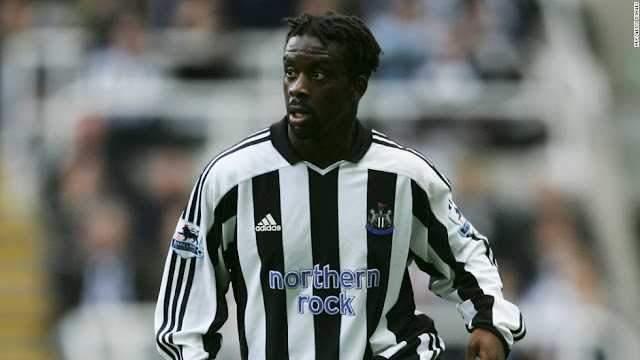 The panic that had engulfed the football world following Webster was short-lived when the CAS ruled on the Matuzalem case and took a different decision which appears to have set a precedent, with more and more cases following the same line. In this case, Matuzalem, was three years into a five year contract with Shakhtar Donetsk when he unilaterally and without just cause, terminated his contracted with Shakhtar and signed a three year contract with Real Zaragoza. Shakhtar brought an action against both Matuzalem and Zaragoza before Fifa's Dispute Resolution Chamber (DRC) seeking 25m Euros. 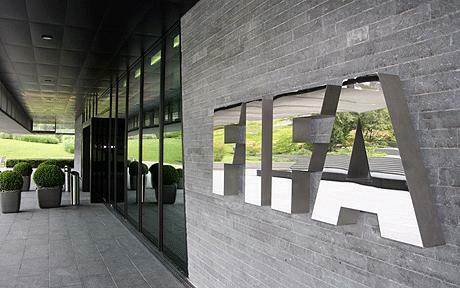 Fifa's DRC awarded 6.8m Euros which Shakhtar appealed to CAS for a larger award. CAS ruled that the purpose of Art. 17 was to create greater contractual stability (Art.13) and did not give players the right to unilaterally breach their contracts and move to a new club, whether in or outside of the protected period. Compensation awarded under Art. 17 was to be at a level as to act as a deterrent for breaching contracts. The CAS held that Matuzalem had breached his contract by not reporting for training with Shakhtar and signing a contract with Zaragoza. This was a serious breach of contract for which there must be consequences and Shakhtar was thus owed compensation. Turning to the level of compensation, the CAS held that the compensation should be calculated in accordance with Art. 17 and not the release clause, as the circumstances in which Matuzalem terminated his contract were not anticipated in the contract. In determining the level of compensation, the CAS held that the value of the player's services to the club, his status and standing , his behaviour and the timing of his departure should be taken into account when calculating the sum payable. That sum should then be reduced by the sum of money that Shakhtar would not have to pay Matuzalem in wages. Compensation was assessed to consider what was necessary to put the club back into the position it would have been in but for the breach of contract. The CAS, thus, awarded 11.9m Euros, in Shakhtar's favour, and that Real Zaragoza were jointly and severally liable for along with Matuzalem. Although Art,17 has not been challenged under EU law it is likely to be considered as in accordance on the basis that it is an objectively justifiable means of calculating the value to a club of a player who has breached their contract. Effectively, this case helped restore the contractual stability thrown into turmoil by the Webster case whilst bringing an end to cheap buy-out clauses. If a player, today, wishes to terminate his contract early, he better have deep pockets to meet the compensation that he will be liable for. In 2001, Kyrgiakos signed a two year contract with Greek side, Panathinaikos FC. The contract also contained two unilateral options giving the club the right to extend Kyrgiakos' contract, initially for a two year period, and then again (if they wished) for one year when the initial two year extension period expired. Kyrgiakos would also be entitled to additional bonuses, under the contract agreement. The contract was registered with the relevant Greek association and was placed under Greek law. In June 2003, Panathinaikos activated the first of the extensions (a 2 year period), extending Kyrgiakos' contract to June 2005. In January 2005, Kyrgiakos went on loan to Scottish club, Rangers FC, until June 2005. Under the loan agreement, Rangers had the option to sign the player permanently at the end of his loan period but the Scottish club opted not to exercise that option and instead expressed its interest in signing the Kyrgiakos for a lower fee. Panathinaikos, did not accept that, and instead chose to exercise its unilateral option to extend Kyrgiakos' contract for a further year, as per the original contract agreement. This would take Kyrgiakos' contract up to the end of the 2005/6 season. Kyrgiakos refused to return to the Greek club at the end of his loan period and claimed that the unilateral option was invalid. As such, FIFA's DRC became involved and reviewed the case, ruling in favour of Kyrgiakos and agreeing that unilateral option was invalid. In usual fashion, Panathinaikos appealed to the Court of Arbitration for Sport (CAS) who found in the club's favour and fully recognised the validity of the unilateral option. The CAS panel stated that FIFA's RSTP (1997 edition) applied in the first instance and then considered whether national law should apply as an alternative. The panel recognised that the contract was signed in Greece between a Greek individual and a Greek football club concerning footballing activities that were largely taking place in Greece. The contract also referred to Greek law which recognised and legalised the unilateral option to extend the contract of a footballer. Given that the CAS panel considered it inappropriate to apply Swiss law to the contract. The CAS panel held that Kyrgiakos was in breach of his contract and was thus liable. The panel referred to the fundamental principle "pacta sunt servanda" which translates to the obligation to respect a contract, and they considered that the terms and conditions that were entered into were fair and reasonable. 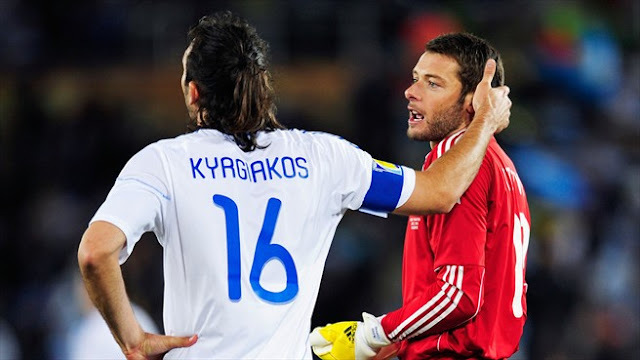 There was no unequal bargaining power between the two parties and the CAS panel also took into account the additional bonus payments that Kyrgiakos was earning, at the point of each extension. This award raises questions in relation to FIFA's competence and what national law is applicable - it should be noted that FIFA's regulations do not contain any provisions that either allow or prohibit unilateral options to extend contracts. The next case changes the position again, but it should be noted that employment conditions were poorer and there was an international element with Paris Saint-Germain's involvement. Under the Uruguayan Football Player's Statute, football clubs were authorised to extend player contracts until the second 31 December, following the date of termination of the initial contract. In the event that the contract is signed during the second half of the season, the Statute allowed for the contract to be extended until the third 31 December, following the date of termination. Given that the Uruguayan season runs from January 1 to December 31, this therefore means that clubs are in a position to extend a player's contract for a further two seasons. Under the provisions, clubs were obliged to increase the player's salary in line with the national consumer index but were under no obligation to improve better the player's conditions. In the event that the player refused the extension, the statutes allowed for the club to record the player as "rebellious" and withhold the player's wages. The player, thereafter, was only allowed to leave the club when the player's contract expired (also known as the end of the "rebellious" period). In the above case Suarez and Rodriguez (two Uruguayan nationals) refused to agree to the terms of an extension to their contracts with Uruguayan club, Club Atletico Penarol. The dispute was over a pay increase and other benefits. The club, however, knowing that it was protected by the Statute, failed to negotiate with the two players and when they refused to sign the extension contracts, recorded them as "rebellious" with the Uruguayan Football Federation and withheld their salaries, as per the Statute. The players were unable to sign for another club as they were still under contract until the end of the "rebellious" period (when the contract was due to expire). After being unable to play for approximately four months and whilst their contracts were still active, the two players signed a contract with French club, Paris Saint-Germain (PSG), commencing season 2005/06. Club Atletico Penarol, thus, filed a claim with FIFA's Dispute Resolution Chamber that alleged that the players had been induced by PSG and thus breached their contract without just cause. The DRC panel rejected Penarol's claim on the basis that the unilateral option clause was invalid and the Uruguayan club, thereafter, appealed to the Court of Arbitration for Sport (CAS). The CAS, like in the previous case, determined what law should be applied in such cases and also whether or not the players had infringed Article 17 of FIFA RSTP (terminating a contract without just cause). "The panel considers that sport is naturally a transnational phenomenon. It is not only desirable but indispensable that regulations referred to the sport at an international level have a uniform and coherent worldwide character. In order to ensure respect at a worldwide level, such a regulation should not be applicable in a different way from one country to another, due to interferences established by state law or a sporting regulation. The principle of the universality of the application of the FIFA regulations - or of any other international federation - is a need for the legal rationality, security and predictability. All the members of the football family are therefore under the same regulations, which are published. The uniformity that comes from it tends to assure the equality of treatment between all the addresses of such regulations, independently of the countries from which they are...As it has been stated, the aim of the FIFA Regulations is to create uniform regulations that can be valid for all international transfers and in which all the actors of the football family are subject to. This aim would not be reached if all the applicable rules of one or other country had to be applied. It would be inconceivable that such national rules would affect parties that are not subject to the law of a country ... Unless you want to undermine the fundamental aim of the FIFA international Regulations, the agreements and other legal dispositions of national levels can only be applicable if they are in conformity, or at least complementary to the FIFA Regulations, but in no case if they are contrary to those. This necessity of uniform legality is, moreover, one of the most evident "specificities of sport" that article 25.6 of the FIFA Regulations refers to." I.e. The outcome of two cases that arise in two different jurisdictions should produce the same result and that FIFA's Regulations (which adapts itself to Swiss Law) are applicable to all member states, and not national law. The CAS panel also stated that Swiss International Private Law, allows them to apply a law that is not particular to a specific state but of universal application such as sporting rules, so long as those rules are not in contrast with public policy. Thus, the panel makes it clear that members of FIFA cannot avoid the principles of Swiss Law when resolving disputes. Turning to the Uruguayan law, the CAS panel raised serious doubts in relation to the rules governing the unilateral option to extend a player's contract and the "rebellion"system, and whether they were compatible with the minimum standards of protection of employees under Swiss Law. The panel would have to refuse any rules that were potentially contrary to public policy and when considering this case, they ruled that a statute that allows a club to unilaterally extend the duration of a player's contract with very little increase to remuneration was incompatible with FIFA's regulations, which state that contracts should have a fixed duration and clearly stipulate salary and other benefits. The CAS panel also concluded that such a clause also infringed the Swiss Code of Obligations and principles of law. Given that, the CAS panel upheld the DRC's decision and held that the players were not contractually bound to Club Atletico Penarol when they signed employment contracts with Paris Saint Germain. The current transfer system receives both praise and criticism. Many clubs are of the view that it enables them to plan for a set period of time, with the knowledge of the players they have available to them whilst FIFA has stated that the system allows clubs to invest in the training and education of young players. On the other hand, FIFPro have heavily criticised the current system and have, in turn, launched a legal challenge, filing a complaint with the European Commission, claiming it to be anti-competitive, unjustified and illegal. The case is currently pending but if successful could see the end of transfer fees. "prevents clubs from fairly competing on the market to acquire sporting talent, harming the interests of players, small and medium sized professional teams and their supporters" and that it "fuels and sustains increasing competitive and financial disparity, invites commercial abuse by third party owners and agents and fails to protect players against abuses of their labour contracts via systematic non-payment." Ultimately, FIFPro argues that the system is anti-competitive because it unfairly discriminates in favour of the bigger clubs, and the solidarity mechanism that was introduced following Bosman, is not effective enough to combat the effect of the status quo. Further, FIFPro also argues that the system restricts the free movement of players (workers) which is a direct infringement of EU law. Whilst it can be argued that the transfer window restricts the ability of a player to move at his own desire. The justification for the transfer window is to protect the stability of the competition season and the team - and this is a legitimate aim recognised by the European Commission (EC). The European Court of Justice has previously considered the legality of having fixed transfer windows (albeit in relation to basketball) and stated, in its decision, that team stability and the regularity of the sporting season can justify any restrictions on free movement of workers, and was therefore valid and authorised. If we consider the example of competitive football and the need for overall stability, it could be argued that allowing late transfers in a season could significantly change the strength of one team over another and, thus, distort the proper functioning of a league season. Another example for restricted transfer windows is that if clubs were able to buy and sell players, throughout the season, it is likely that clubs would buy players with a few games of the season to go from clubs who have nothing to play for, in an attempt to win the league, avoid relegation or even qualify for European competitions. It is for this reason, that the EC allows exceptions for sporting justification and as a result, it is unlikely that the EC will uphold FIFPro's complaint that the transfer window unjustifiably, restricts the free movement of players. However, it remains to be seen how the EC will consider the other arguments put forward by FIFPro, and in particular in relation to the benefits gained by the larger clubs to the detriment of the smaller ones. However, even at that, the larger clubs are likely to have more commercial might in terms of sponsorships and highly valuable player image rights, that are likely to generate significant more revenue that smaller clubs who do not attract as much commercial revenue. As such, it is likely to be the case that the larger clubs will always be in a position to buy the more expensive players, as a result. IMPORTANT: This post is not intended to be a legal briefing, it is not intended to be a statement of the law and no action should be taken in reliance on it without specific legal advice.